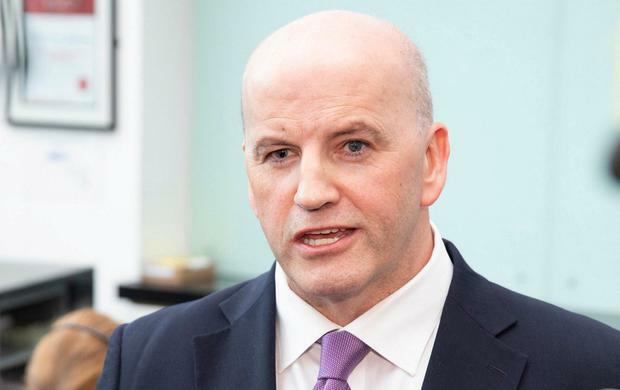 Micheál Martin has rejected the suggestion Seán Gallagher is a proxy Fianna Fáil candidate in the presidential election, calling it "ridiculous". Businessman and former 'Dragons' Den' star Mr Gallagher will be on the ballot paper to take on President Michael D Higgins after winning the support of four local authorities. He did so with the backing of some Fianna Fáil councillors. Mr Gallagher's 2011 bid for Áras an Uachtaráin floundered amid questions about past links to Fianna Fáil and the subsequent "Tweetgate" incident. Fianna Fáil leader Mr Martin welcomed the fact that Mr Gallagher and other candidates had entered the race but reiterated his support for Mr Higgins, who he argued had "performed very well on behalf of the country" at home and abroad. He said his party's councillors were free to nominate other candidates. Pressed on whether Mr Gallagher was a proxy candidate for Fianna Fáil, he replied: "That's ridiculous. Clearly not." Separately, another presidential hopeful, businessman Peter Casey, conceded that his use of a helicopter to get to three council meetings in quest of a nomination on Monday was wrong on environmental grounds. But he insisted he could also win the support of the four councils needed to get on the ballot paper. Mr Casey, also a former 'Dragons' Den' panellist, told Kildare County Council members his need to deploy a helicopter was partly caused by Mr Higgins's delay in stating his intentions about standing again. Mr Higgins has previously rejected claims the timing of his announcement affected other candidates. "I used a helicopter, at my own expense.... I did it because I said I was serious about standing for the presidency and I want to show that," Mr Casey told the Irish Independent. He added that, if elected president, he would avoid using Air Corps helicopters or the government jet. Kildare councillors heard presentations from other hopefuls Sarah Louise Mulligan and Gemma O'Doherty. Mr Gallagher addressed the council and another likely candidate, Gavin Duffy, was present to canvass the councillors, with a vote not expected until September 24. Analysis: The phoney war draws to an end - but is Michael D unbeatable?